Wants to integrate phones more into other devices: proper PSP phone incoming? Sony is in talks to buy out Ericsson's share of its mobile phone arm, Sony Ericsson. If successful, we would see Sony-branded handsets, which, according to a mole in the company, would look to integrate more fully with its other products. 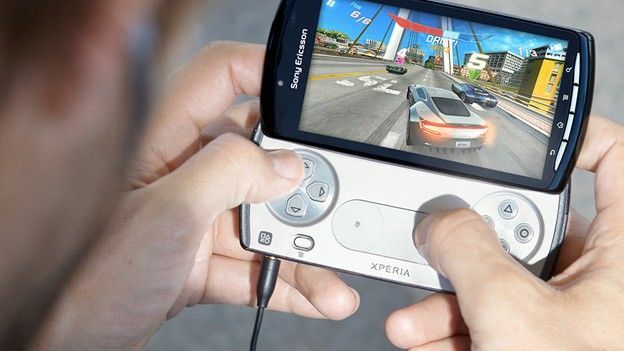 Since the Sony Ericsson Xperia Play was a bit of a damp squib, could this mean we'd see a true PSP phone? Well we can hope. A source has told Reuters Sony is considering a buyout, but didn't want to reveal more info as the talks weren't public. Sony Ericsson was formed 10 years ago in 2001, but most analysts agree its best days are behind it. It has fallen to number 9 in the global mobile phone rankings, from 4 a few years ago. Sony Ericsson's handsets were presented alongside Sony's other gear at IFA in September, hinting it is trying to integrate mobile more into its product line. The Sony Ericsson Xperia Play was the last real attempt to do that, but suffered from lacklustre hardwear as well as only being able to play PSOne games, something most Android handsets can do. Would you like to see Sony-branded handsets? Let us know on our Facebook page.